Agritech startups Sabziwala and LivLush, which are both backed by impact VC fund Elevar Equity, have merged their businesses under a new entity named Kamatan. The development was first reported by The Economic Times, which quoted Elevar India managing director Sandeep Farias as saying that the firm would invest more in the new entity. Kamatan will focus on empowering farmers with meaningful price data. The combined entity is headed by Sabziwala founder Pravesh Sharma, a former Indian Administrative Service (IAS) officer. He had previously served as secretary, agriculture in the Madhya Pradhesh government and as managing director of the state-owned Small Farmers’ Agribusiness Consortium. Separate email queries sent to the founders of Sabziwala and LivLush did not elicit a response till the time of publishing this report. 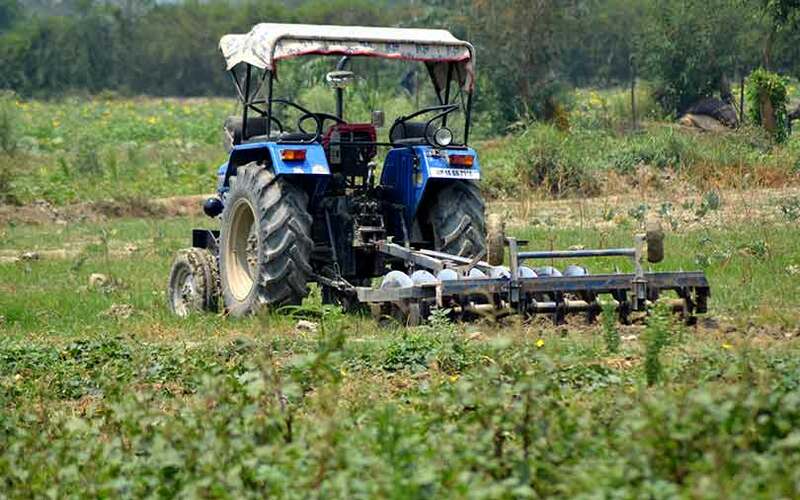 Elevar's Farias was quoted as saying that the idea behind merging the two startups into a single business was to combine the domain expertises of farmer connect and supply chain technology to ensure better pricing for farmers and to reduce wastage. Sabziwala, which is headquartered in Chandigarh, was founded in 2016. It supplies fresh fruits and vegetables to doorsteps in packs that are pre-weighed and pre-priced. The company gets produce directly from farmers and community-based organisations and manages the value chain from farm to retail.It aggregates demand from end consumers by tying up with existing kirana shops. Bengaluru-based LivLush was founded in 2016 by Amol Patil, Raghunandan B and Rohan Patnaik. Earlier known as Green AgTech, it focuses on supply chain efficiency. The company handles farm produce sourced directly from farmers, farmer producer organisations and customises the supply model for buyers. According to The Economic Times, Elevar had invested in Sabziwala last February, three months after backing LivLush. It is the sole institutional investor in both companies and will continue to be the lead institutional investor in the new entity. The promoters still hold majority stake. Another agri-tech startup, business-to-business agri-marketing platform Ninjacart, recently raised about $1.1 million (Rs 7 crore) from venture debt firm Trifecta Capital. Bangalore and Seattle-headquartered Elevar Equity mainly invests in enterprises serving low-income communities. The VC firm closed its third fund of $74 million in November 2015 with the backing from leading investors such as Rockefeller Brothers Fund, JP Morgan Chase and Omidyar Network. Its investments from that fund include Varthana, a lender to schools serving low income groups; Indifi, an online platform that connects SMBs with formal lending institutions; SecureNow Insurance Broker and Samunnati Financial Intermediation and Services. In January, Elevar Equity topped up its investment in Gurgaon-based mortgage lender Shubham Housing Development Finance Company, which raised its Series D round. The same month, it also participated in the Rs 150 crore ($23.5 million) Series C round of non-banking financial company Samunnati Financial Intermediation & Services Pvt. Ltd.
Elevar had also invested in Chennai-based online credit management startup CreditMantri.